Home ‹ ArcheAge ‹ Lux Arcana prepares for ArcheAge! … and the list goes on. 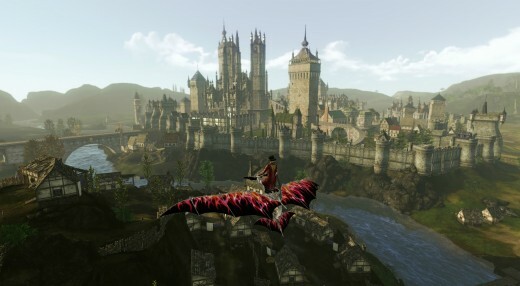 The fully open-world, non-instanced (apart from dungeons) game has already been out in South Korea for a couple of years, and Trion has been spending the last year or so ‘Westernising’ ArcheAge for the North American, European and other Western markets. It is ‘free to play’ but there are benefits (mostly for crafting/harvesting) to being subscribed as a ‘Patron’ – although you can purchase Patron status using the ingame APEX currency you can earn through just playing (much like Plex in EVE). A number of Luxies have already been testing out the game during its Alpha and Closed Beta stages and have been impressed by the great depth of play the game has, especially for PvP, harvesting and crafting. Solid teamwork and guild-wide co-operation, support and meticulous organisation are all called for if a guild is going to succeed here – and the Lux Arcana gaming community has a long history of leadership teams and members who all meet and excel at these criteria, so the future looks bright. Will I enjoy the game? As the video below of some naval combat on the High Seas shows, PvP uses tab-targeting for aiming (as well as targetted and local AoEs) but with the need to work together to create skill combos to increase damage, effect snares etc. As in any PvP game, zerging is a tactic often used but equally often countered by smaller teams of better players – especially when the different modes of travel (aerial attacks from gliders, mounted charges, faster weaker ships, slower more powerful hulks) are properly used. PvP cannot take place in the first few starting regions of the Western and Eastern continents (Nuia and Haranya). However, various regions in those continents are contested and fall into conflict every couple of hours at which time you can jump/be jumped by any player from the opposing continent (and even by your own continent’s players if they have gone rogue/pirate…). 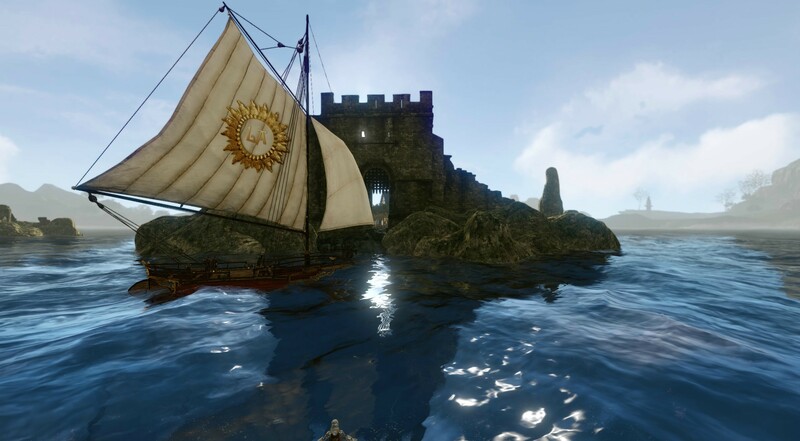 There is no full loot PvP in ArcheAge, although there is both a death penalty – a (recoverable) XP and durability loss – AND if you are carrying a trade or materials pack on your back or your boat when you are killed, this can be looted from you. Your boat/mount etc can also be ‘killed’ but (for a price – which for boats is very high) can be repaired/healed, often with a delay before the item can be used again. 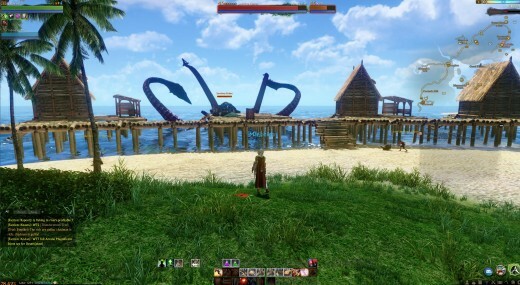 The ability to loot players of their trade/resource packs gives piracy on the High Seas and land trade routes a real function (and a way to make a lot of money), and means that players need to have others around them to protect them when travelling through unsafe areas or building fortified Guild cities in the fully open PvP northern continent of Auroria. Siege warfare also plays a big part in the mid- endgame content of ArcheAge. The height of a Guild’s power and influence is shown by their ability to take, hold and build up a fortified city on their land in the fully contested continent of Auroria. Guilds can design their city’s layout (including high stone walls, towers and gatehouses, all designed to protect the central ‘Floating Sword’) as they wish, making for some very technical castle defence plans! 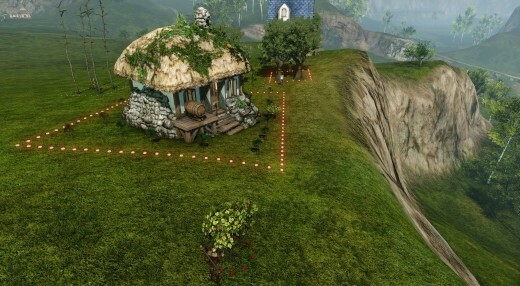 It is also where players can build their homes, farms and Guild crafting stations but all of this building requires a VAST amount of resources – there is a real need for Guild members to work together to defend their kingdom from not only sieges, but also the risk of PvP that is ever-present on Auroria. 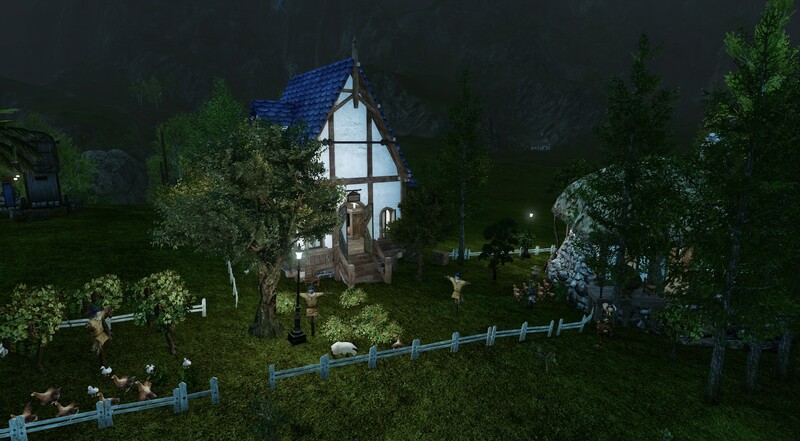 The world of ArcheAge is divided into 3 main continents and various outlying islands all of which contain either marked or hidden (or both) areas where you can place your house and farming plots. Houses come in different sizes and two styles (Medieval European and Medieval East-Asian), and at the moment the farming plots (ie land where you grow plants, trees and raise animals) have two sizes. You can own up to 3 parcels of land without paying too much in taxes, but the more land you have the much higher your weekly taxes become – and you lose your land if you don’t pay the tax. All houses and many other ingame objects (farm wagons, ships etc) are created using blueprints that you buy from the “Mirage Isle” resort using ‘Gilda Stars’ (one of the ingame currencies obtained by completing the main questline or handing in crafted tradepacks) and from crafted resource packs (stone, iron, wood and cloth) which have to be transported (without using the teleport system) to the build site. Housing has the usual ‘fluff’ benefits (you can craft and buy furnishings to decorate as you wish), but also serves as a teleportation point, a place to store items in chests you craft, add crafting stations not available elsewhere and a place to grow and harvest many of the plants, trees and animals you need for crafting/building. Indeed producing crafting materials to use for yourself or sell to others is often highly profitable, but also time consuming and needs planning. Crafting has a huge number of recipes (literally hundreds) divided into 21 crafting ‘vocations’ and you are very limited in how many of these you can specialise in. Crafters not only have to rely heavily on farmers to provide their crafting materials, at the higher crafting levels they will need to get parts from other high-end crafters in other vocations in order to finish off that specialised item they’ve been working on for the past few days! Crafting and resource node harvesting (milking cows, chopping trees, picking plants, mining ore etc) always requires “Labour Points” – anywhere from 1 to 60 points each time. As the maximum LPs you can hold is 2500/5000 (non-Patrons/Patrons) and they slowly regenerate, this means that you must very carefully plan your gaming time so as to make best use of this limited resource. 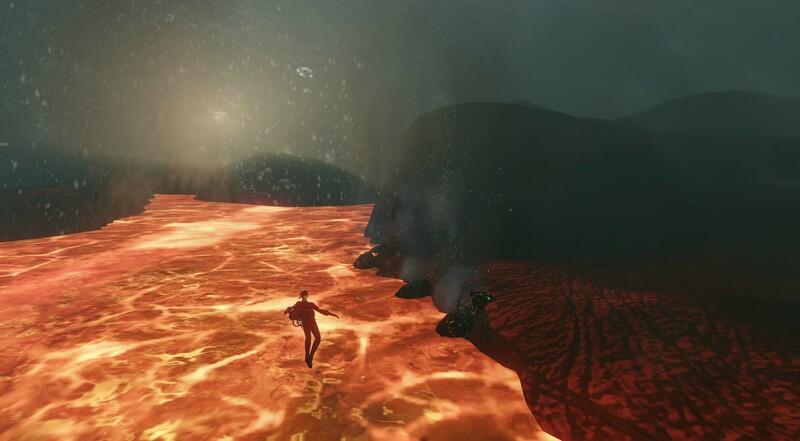 As well as farming and resource-harvesting on land, there are also underwater ‘aquafarms’ and deep underwater mining nodes. These are often in open PvP areas, so you need to be aware that death is sometimes never far away (although unless you have a trade- or resources-pack on your back you won’t lose anything you have been harvesting). A perfect life or a pirate’s? Law and order plays an important role in the game. You can choose to live your life according to the rules and never have to face prosecution by your peers. Or you can choose to steal and murder your way through the game, always watching your back for the bounty hunters out to send you before the Judge and Jury! Any time you commit a crime – whether it’s stealing trees someone has planted outside of their gardens in hidden corners of the world or killing merchants for their tradepacks as they cross the seas – evidence of your crime remains at the location: red footprints for theft and large blood spatters for murders. Players can right-click these to report them with each report generating a varying number of “crime points”. Hit 50 crime points and the next time you are killed by players you’ll be hauled up before an NPC judge and tried by a jury of 5 players. If found guilty and depending on your number of crime points you’ll be sentenced by the NPC Judge to spend an amount of real time in prison (one player was sentenced to 13 hours of real time), where you can choose to serve your debt to society playing soccer or undertaking prison tasks and emerge with a clean-ish record, or you can try and escape (and risk being caught again and serving an even longer sentence…). Even after you serve the time, eventually if you continue to commit crimes you will be automatically kicked out of your Guild by the game and placed into the Pirate faction – doomed to be attacked on sight by all NPC guards and players. You can (through a number of lengthy quests) regain your place in proper society and return to your Guild, should you wish. But will pirates have a place in Lux Arcana? Of course…. This is perhaps the least innovative area of ArcheAge. Questing is the standard “follow this line of quests from hub to hub killing X beasties and collecting Y quest items”, although you level quickly and reach the magic “level 30″ (maximum level is currently 50) after which the game opens out (although you can do most things from level 1 onwards). You can also avoid questing entirely if you wish and gain experience just by harvesting and crafting. This levels you almost equally as fast, although not having enough Labour Points will hold you back. It is, though, important to complete the main questline as this awards the prized “Gilda Stars” that let you buy the major crafting blueprints from the Mirage Isle resort (although players then often sell these blueprints for ingame gold on the auction house). So what will Lux be doing? We will be playing on the EU server called “Eanna” (we’re currently playing there during Beta), and our goal is to be one of Eanna’s leading Guilds – both politically and militarily. Our plans are currently being finalised for the headstart and launch, so if you would like to join us then if you are already a full member of Lux Arcana you can sign up here. If you are not yet a full member of our gaming community then you can apply to join us in ArcheAge as a recruit: click here for more information. A word of warning to all of you, though: Lux Arcana will be the wrong Guild for you in ArcheAge if you plan to solo your way through the content. Whilst you do not need to be a PvP god, ArcheAge is very much a PvP game (although it is entirely possible to avoid nearly all PvP if you wish, except during a siege) and all Guild members will be expected to take part in defending Guild territory. As importantly, players in Lux Arcana will be expected to work hard and dedicate themselves towards our Guild’s goals. This will mean giving up some of your ingame time and Labour Points to help meet those goals – whether that’s by harvesting stone, wood and other crafting materials, or perhaps building at least one of your houses in the Guild’s chosen starting location rather than where you would want to place it (there is nothing stopping you from having 2 houses though…!). Ultimately everyone must work together if we are to achieve everything we want to! So, if you think we’re right for you and you’re right for us then come and join us ingame when it launches with the headstart on 12 September or at launch on the 16th! Great intro to the game. Nice to have the basic info coupled with what we’ll be doing. 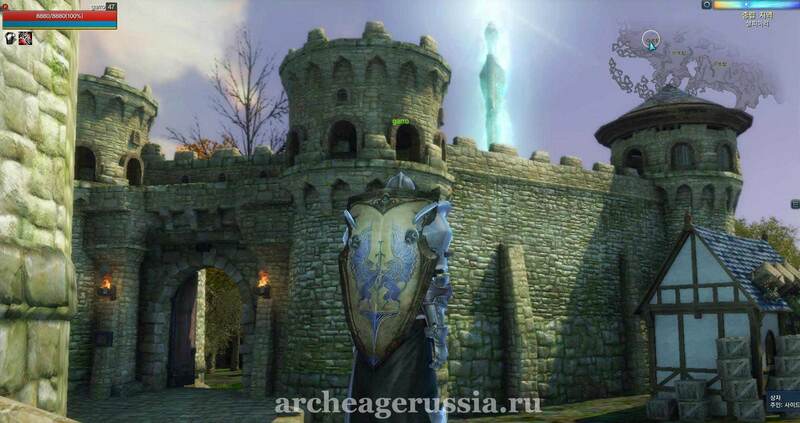 Lux in Archage is also great news! See you ingame! Saw a few Lux floating around on Eanna during beta, might get it at release, we shall see ! does it feel like a pay 2 win game? and am I heavily nerfed as a free 2 play user? It’s not feeling like Pay2Win so far. You cannot own a house without Patron status but as the article says, over time you can earn enough in game to use game currency to get Patron status. Great article, been away from MMO’s for a while but. I am in the process of building a new machine ready for Arch Age :). Dang. I was sure I would let ArcheAge pass, having read about needing a sub for the LPs (thanks for correcting that! ), and not providing any innovative PVE mechanics. But then you had me at the word “Vanguard”. :) Dang. Yes you can indeed play then without a sub. Don’t forget to sign up in the Members’ Sign-ups thread! Aye, I’ll give this a try I think. I’ve had a 4 or 5 month break from MMOs. The PVP looks great, and I need some in my life! See you all at launch! I’m thinking this is the game for me until Pantheon becomes reality. I look forward to the team and guild aspects of the game. I;ve never been big on solo’ing in mmo’s . Great write up Mae. 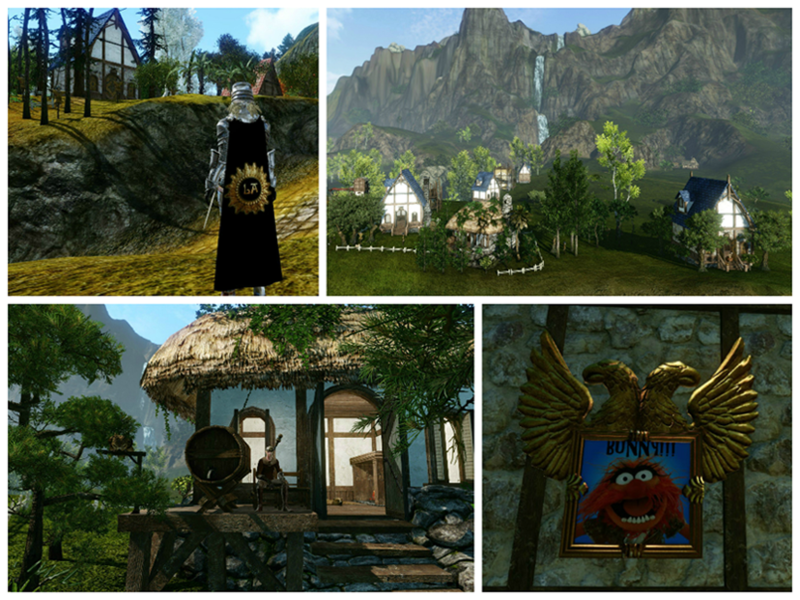 Certainly looks interesting and hopefully a return to a vibrant guild community based MMO. Will def have a look a few days after launch on F2P and see if it’s for me. But the harvesting/crafting looks very exciting. Erhmehgerd.. You got even me interested Maejohl and I don’t even have time for it……… Suppose one can check it out. I mean, it’s a pirate’s life for me..!